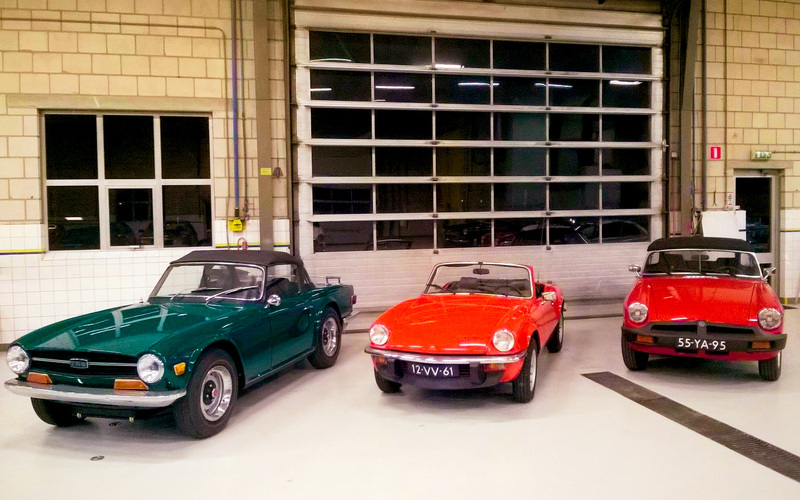 Most of us treat their classic car(s) with care, like a member of the family. 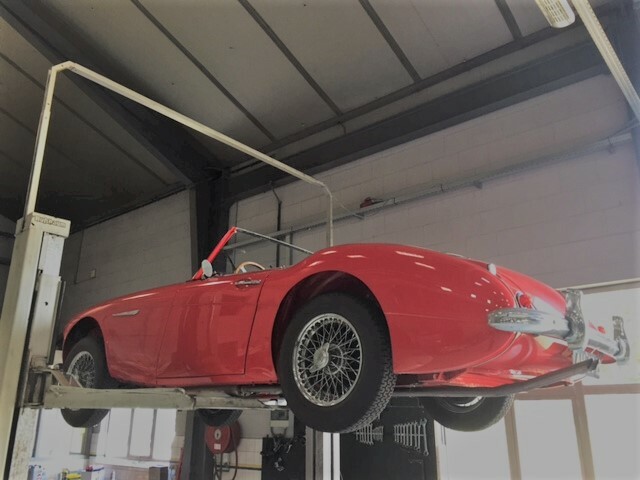 When autumn sets in, many classic car enthusiasts start preparations for winter storage of their vehicles. However, stagnation is deterioration. After a long uninterupted period of storage, problems may occur when spring time comes. 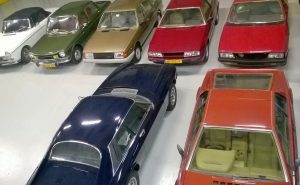 With these tips your classic car can be taken out of storage with the least amount of problems. When did you last service your car? If you choose to do this in autumn, the car will be ready to drive on the first day of spring. Old engine oil contains harmful acids that can affect the engine's internals during long periods of standstill. Brake fluid attracts moisture - old fluid causes brake parts to get stuck. Did we mention that those long and dark winter evenings are perfect for carrying out minor repairs or rebuilds? Wash your car the old-fashioned way, with a bucket and sponge. This will help you to see minor damage or other details that require attention. Pay attention to areas where dirt and moisture accumulate, especially wheel wells and fender edges. Finish off with a good quality wax. 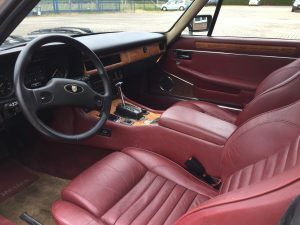 Do not forget about the interior. Clean and treat leather upholstery with a good quality maintenance product. We prefer saddle soap and leather grease, from the equestrian shop. This way you allow the water from washing the car to evaporate. Also, it is better to bring the engine to operating temperature, leaving as little condensation as possible in the engine and exhaust. Do you have the possibility to conserve your car's hollow spaces? Do it! There are all kinds of specialised rust prevention products available. Tip: a mixture of boiled linseed oil and old engine oil works perfectly well. Use an air gun with flexible hose. It's a dirty job, but well worth the effort in the long run. Not everybody has the luxury of a heated garage at home. Alternatively, when you store your car in a namp shed without insulation, you classic will have a hard time. 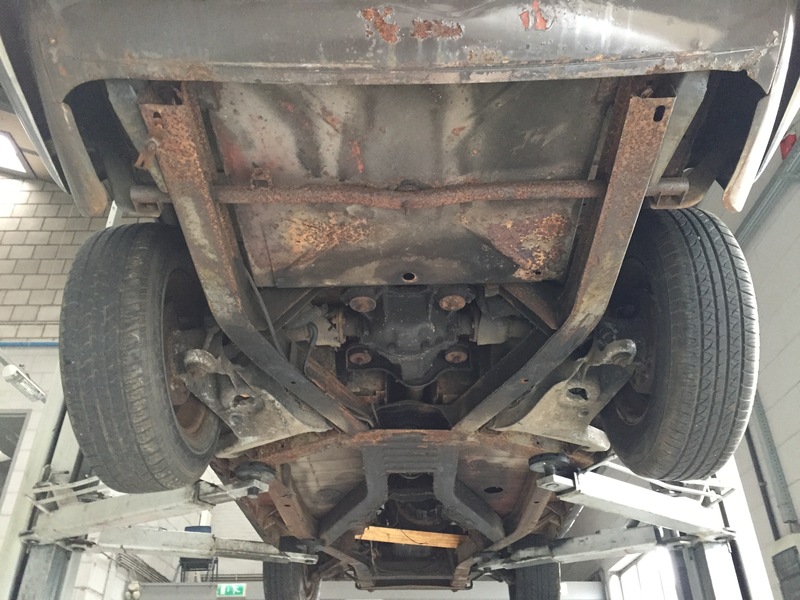 In less than ideal conditions, do as much as you can to prevent deterioration: place moisture absorbers in your car and spray some thin oil on zinc, chrome and aluminium parts. Also consider preventive measures against mice and bugs. In humid areas it may be advisable to pour some clean engine oil through the spark plug holes on the pistons. To remove excess oil after winter storage, start the car with the spark plugs removed. Unplug the battery leads and apply some vaseline. Check the water / acid level for a non-maintenance-free battery before and after the storage period. Use a good quality slow-charger to keep the battery healthy. With a timer in your power outlet, the battery will not be continuously charged. This saves electricity and prolongs battery life. Unplug the battery and store it frost free if your car is in an unheated, uninsulated space. Inflate the tyres 0.5-1 bar harder than usual. This will prevent your tyres from becoming "square". It's even better to put the axes on blocks, so that the tyres are relieved. Put your car in gear, off the handbrake. This will prevent the brakes from getting stuck. Paying a visit to your car? Then pump your brake and clutch pedal a couple of times. This keeps everything moving and prevents the soft parts from drying out or sticking in the cylinders. 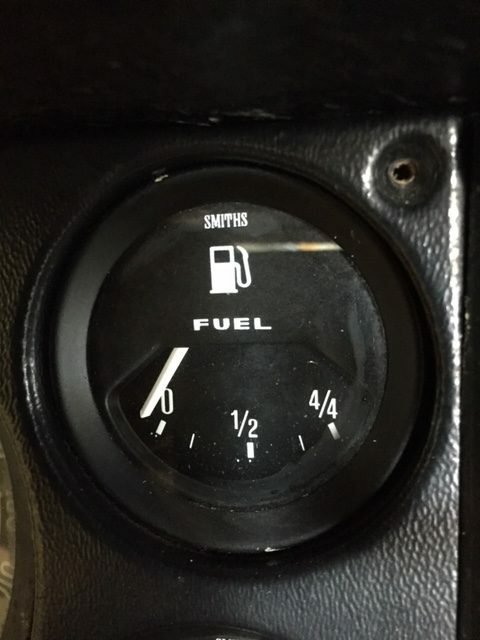 What petrol to use in a classic car? 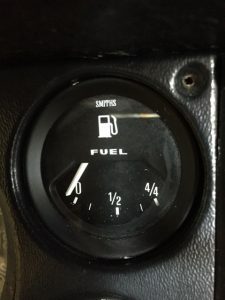 Which petrol should I use in my classic car? 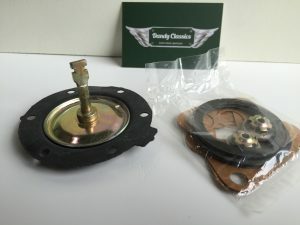 Customers regularly ask us for advise on the best fuel for their classic car. Because the answer is longer than the question, we wanted to share this information with other classic car enthusiasts. Many older gasoline engines have been developed to run on leaded petrol with a high octane content. Fortunately (for environmental reasons and public health) this fuel is no longer available. 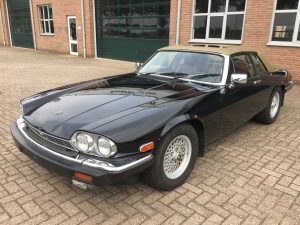 Classic car owners should therefore look for alternatives. In this post we treat the most common fuels: Euro 95, Super 98 and E10 gasoline. We also deal with the use of lead replacements, high octane petrol and driving on LPG. Euro 95 or Super 98? As a rule of thumb, engines with higher compression need a higher octane gasoline than engines with lower compression. The higher the octane content, the lower the chance of pinging or detonation. Pinging is the spontaneous ignition of the air-fuel mixture, beyond the time of ignition. This creates opposing forces in the combustion chamber, which translate into an irregular course and a beating or pounding sound. 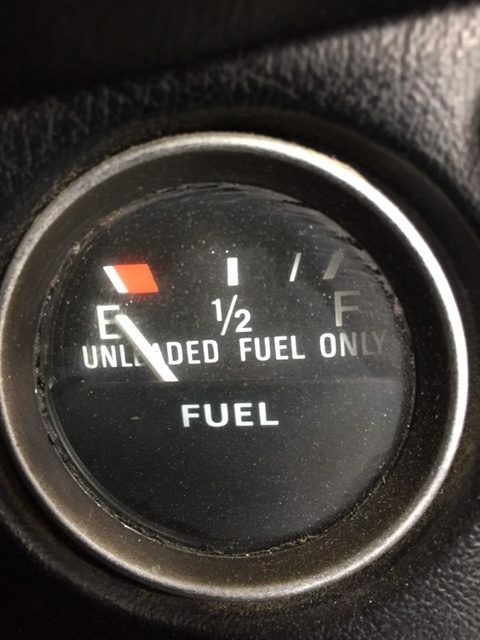 That this is not good for the engine may be clear; It can cause serious engine damage. The choice for Euro 95 or Super 98 is open for discussion. Many classic british cars run well on 95, provided the ignition is well adjusted. Generally, this should be somewhat later for E95, so that no spontaneous combustion occurs (too close to the top dead center). Especially for engines with a little lower compression, Euro 95 is perfectly suitable. 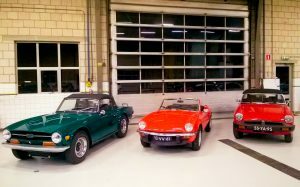 This includes sedans, but also sports cars that were delivered to the American market in the 1970s with a somewhat lower compression (MGB, TR6). The sportier driver will benefit more from the highest possible octane content. Tuned engines with faster camshafts run better and last longer with 98. For many classic cars, ordinary Euro 95 is more than sufficient. It is important however, to ensure that not too much ethanol has been added. For example, E10 gasoline (with 10% ethanol) is absolutely out of the question. Many soft parts in the fuel system (rubber hoses, diaphragms in fuel pump or carburettor, cork, zinc) are affected. Also, old petrol residue can dissolve in E10, resulting in concentration of pollution elsewhere. Also, ethanol (a type of alcohol) attracts water. This can lead to moisture and thus corrosion in the tank, especially during a longer period of storage. For example, Euro 95 often contains 5% ethanol. Therefore, if your classic is not used for a while, it is advisable to refuel a premium gasoline with the lowest possible alcohol content (Super 98, V-Power, Excellium, etc.). Some suppliers are offering additives for E10, specially designed to counteract the harmful effects on our classics. We have no experience with these products and cannot say what the long-term effects are. Adding a lead substitute only makes sense if the cylinder head has not yet been rebuilt to unleaded specification. The lead substitute ensures protection of softer valve seats. Without the additive, they will wear faster, which can lead to compression and power loss. We supply a Castrol lead substitute, available in our webshop. Some filling stations in Germany offer 102 grade petrol. 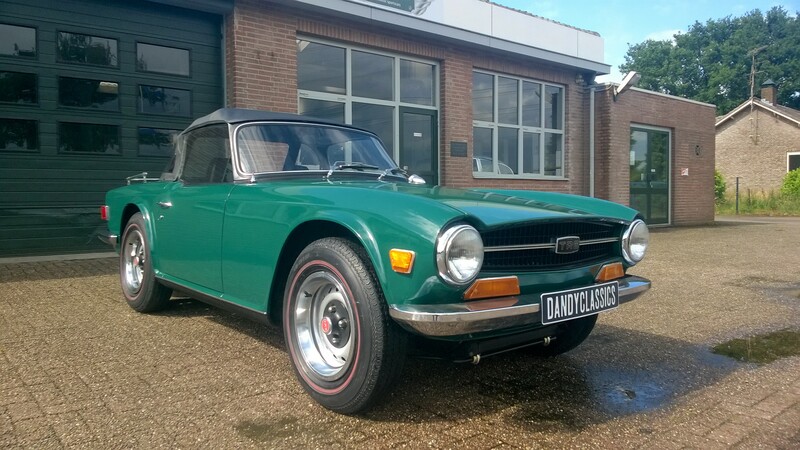 In the Netherlands, this grade is offered by Firestone, under the brand name Competition 102. Although for most cars the benefits will be hard to notice, it is good to know that no ethanol has been added to this high octane petrol. Personally, I think gas is great for cooking, but I would never want it in my car. Typically, our classics are not driven enough to compensate for the higher costs of installation and maintenance. In addition, I'm an originality freak that does not like to drill holes where they do not belong. Treat your car with respect and leave the LPG installation out. This prevents condensation and rust on the inside of the tank. 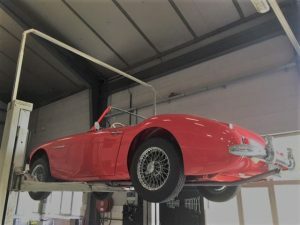 Is the car being stored for a long time? Keep in mind that the average Euro 95 petrol is outdated after about 6 months. In that case, it is better to refuel a premium petrol. After prolonged storage, always check the petrol hoses under the car and in the engine compartment and replace the fuel filter regularly. New arrival: 1963 Austin Mini Cooper Mk1. This is a basket case project with lots of potential: matching numbers, mostly complete and an attractive colour combination. 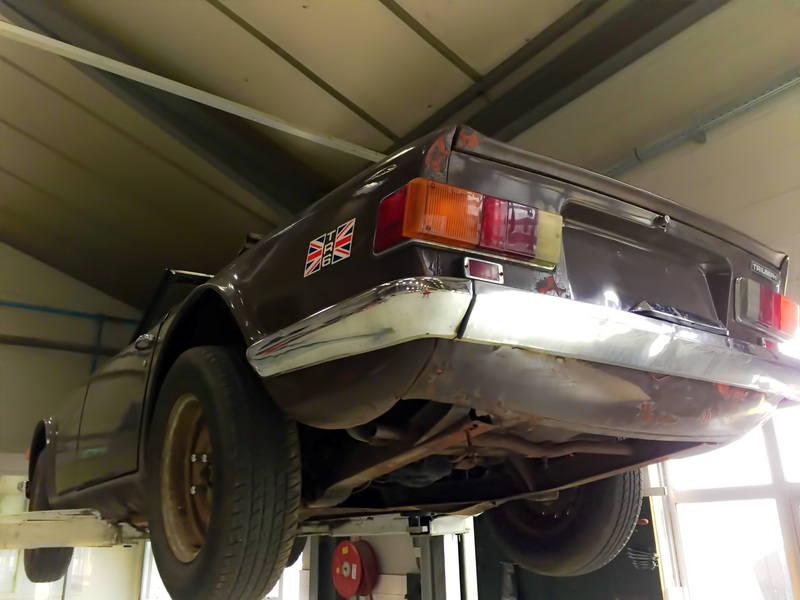 Interesting car for a high quality restoration.